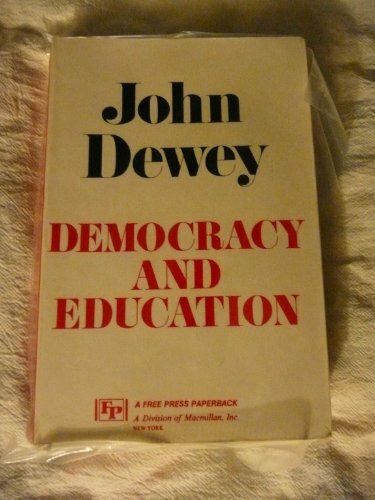 Amazon.com description: Product Description: John Dewey's "Democracy and Education" addresses the challenge of providing quality public education in a democratic society. In this classic work Dewey calls for the complete renewal of public education, arguing for the fusion of vocational and contemplative studies in education and for the necessity of universal education for the advancement of self and society. First published in 1916, "Democracy and Education" is regarded as the seminal work on public education by one of the most important scholars of the century.